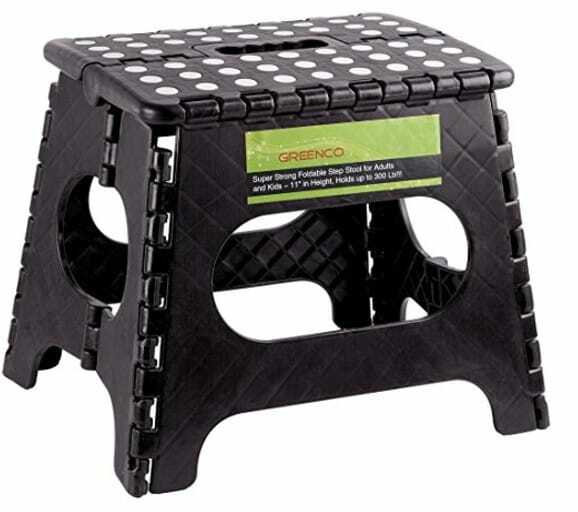 The Greenco Super Strong Foldable Step Stool for Adults and Kids is on sale for $10.19 at Amazon right now. That's 46% off the list price of $18.99! Awesome Feature – After deeply considering the needs of our customers, we came up with a brilliant idea. We installed rubber Polka Dots on the step stool's surface in order to prevent injuries which occur from slipping. In addition, not only it will give you the grip you need, it's also looks great and stylish. Comes in black, white and 3 other colors, but prices will vary slightly.